ST. GEORGE — A nearly endless ring of space debris swirls around the earth in various orbits, creating what NASA calls “rubble trouble,” a potentially deadly situation for astronauts as debris crashes into space shuttle windows or slices through cables. 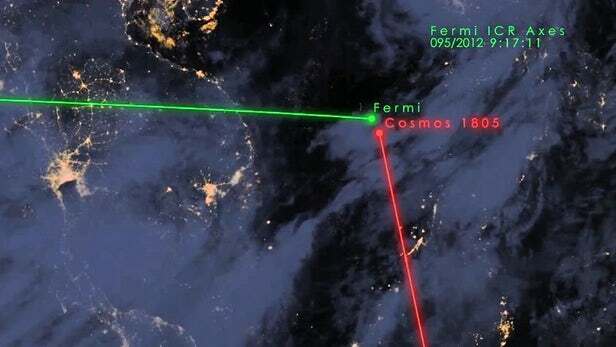 Consequently, keeping track of the estimated 18 million pounds of trash orbiting hundreds of miles above Earth matters. There have only been made-made objects out in space since 1957, when the space age was ushered in with the launch of the Russian satellite Sputnik. This means everything out there now was brought there during the roughly 5,400 launches that have taken place over the last six decades, according to European Space Agency’s January 2018 space operations report. Since the start of the space age, more than 8,6o0 satellites have been placed into orbit. Of the approximately 4,700 of those still in orbit, only 1,800 are operational, leaving 2,900 dead satellites out there orbiting aimlessly and adding to the more than 21,000 objects currently being tracked and cataloged by NASA . “Space junk,” a term coined to describe the man-made objects orbiting the earth, includes derelict spacecraft or upper stages of launch vehicles, carriers for multiple payloads and debris flung out during explosions and collisions or released when a spacecraft separates from its launch vehicle. It also includes solid rocket motor waste and tiny flecks of paint released either by thermal stress or when tiny particles collide. Using ground-based radar, the U.S. Space Surveillance Network currently monitors some 21,000 objects larger than 4 inches. There is no indication that the debris will go away on its own. In fact, the higher the altitude, the longer the debris typically remains in earth’s orbit. In addition to the traceable objects, there are 750,000 so-called “flying bullets,” fragments less than half an inch in size, according to NASA, and another 150 million fragments smaller than a millimeter that cannot be tracked from earth. All of that debris is orbiting at speeds of up to 17,500 mph, which is fast enough for even a relatively small piece of debris to damage a satellite or spacecraft. In fact, according to NASA, paint flecks were responsible for damaging a number of space shuttle windows which then had to be replaced. Considering that orbital debris collides with another space object at 6 miles per second, or 10 times faster than a bullet, collisions involving even small debris involve a considerable amount of energy. Surprisingly, with all of that space litter racing around an orbital high-speed racetrack, there have actually been very few disastrous collisions. Space Shuttle Endeavor’s radiator is punctured by orbiting debris during one of the shuttle’s missions | Photo courtesy of NASA, St. George News. However, one such collision did occur in 1996 when a French satellite was damaged after colliding with a French rocket that exploded 10 years earlier. Another collision involved a defunct Russian satellite that collided with a functioning U.S. commercial satellite, which destroyed the satellite and added more than 2,000 separated objects to the space junk pile. Two years earlier, China blew up an old weather satellite using a missile, which threw a whopping 3,400 objects into the ring of clutter that NASA routinely monitors. In all, more than 500 collisions, breakups or fragmentations have already been reported, resulting in nearly 18 million pounds of man-made material that orbit the earth at any given moment, with the highest concentration in an orbit about 500 miles above the earth. That is where the now-defunct European Space Agency Environmental Satellite, roughly the size of an 8-ton Greyhound bus, is at a high risk for collision. Whose job is it to remove it? International guidelines recommend that operators remove spacecraft or satellites from low-earth orbit, which is roughly 1,200 miles above the earth’s surface, within 25 years from the end of the satellite’s mission. In spite of those recommendations, only 60 percent of missions actually do that, according to the European Space Agency report. The volume of debris collecting in low-earth orbit presents a clear and present danger, the European Space Agency warns, and catastrophic events have taken place over the last six decades. Catastrophic risks are not isolated to equipment or objects — they also pose risk to human lives. Case in point are several close calls involving the International Space Station. From 1998 to 2012, the orbital facility performed 15 evasive maneuvers to avoid collisions with space debris. On four occasions in its 19-year history, objects were identified too late, and the station’s crews were forced to evacuate. Why doesn’t the space junk show up in satellite images? Many have questioned why these objects are not visible in satellite photos, and it comes down to size. The majority of the objects are too small, from the size of a football to a speck of paint, to be photographed by satellites orbiting hundreds of miles away. To put this in perspective, the largest man-made object in space is the International Space Station at a little more than 357 feet across at its widest point, while the distance across the center of the earth is nearly 42 million feet, or roughly 7,900 miles. The Kessler Syndrome is a 1978 theory proposed by NASA scientist Donald J. Kessler in which he describes a “self-sustaining cascading collision of space debris” in low earth orbit, where two colliding objects in space generate more debris, that then collides with other objects, creating even more litter until everything in low earth orbit becomes an impassable fortress of super-fast moving objects. At that point, anything entering orbit would face “unprecedented risks of headfirst bombardment,” according to Space Safety Magazine. Kessler predicted that a “debris belt” would be created, where the density of debris would be so great that random collisions would be inescapable, and as collisions increased, the volume of debris would increase, thus increasing the number of random collisions further. With the growth in clutter, the risks and costs of space exploration for future generations will only go up. Any hope for launching anything into space will likely require rockets capable of penetrating a layer of debris with more accuracy, along with higher fuel costs that would be needed for evasive maneuvers to shield the spacecraft against small debris. “Low-Earth orbit may even become impassable,” NASA says. Things may even get worse. Proverbial “mega-constellations of satellites” are being planned now by several companies, including One Web, Boeing, SpaceX and Samsung, to bring Internet access to the entire globe, a plan that will blast more than 10,000 satellites into orbit, according to a September 2018 report by NASA. To address the issue of space junk, a spacecraft equipped with technology capable of removing space debris while in orbit was launched as part of a $19 million program. The module is about the size of a washing machine that weighs about 220 pounds and is equipped with a harpoon, a net and a drag sail. The spacecraft was released from the International Space Station June 20 and drifted away from its orbital outpost to begin its experimental mission, providing scientists the opportunity to test various functions of the spacecraft. 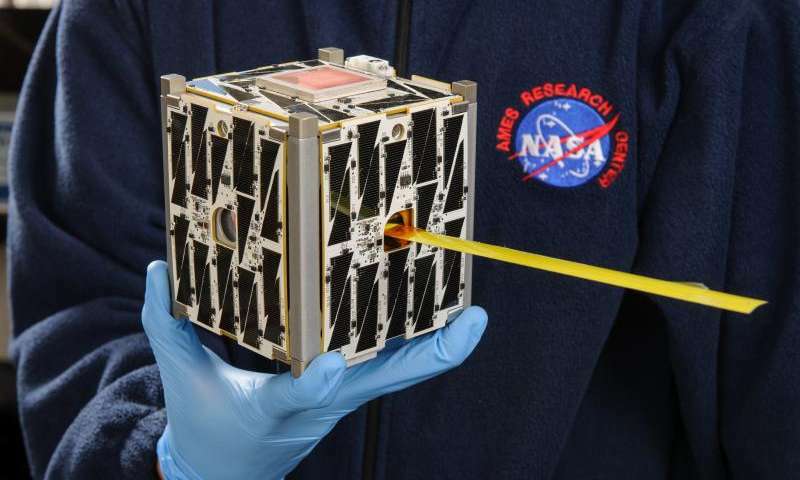 The first test performed in October entailed releasing a “CubeSat,” which are tiny earth-orbiting boxes usually with a volume of about 61 cubic inches and weighing less than 3 pounds. 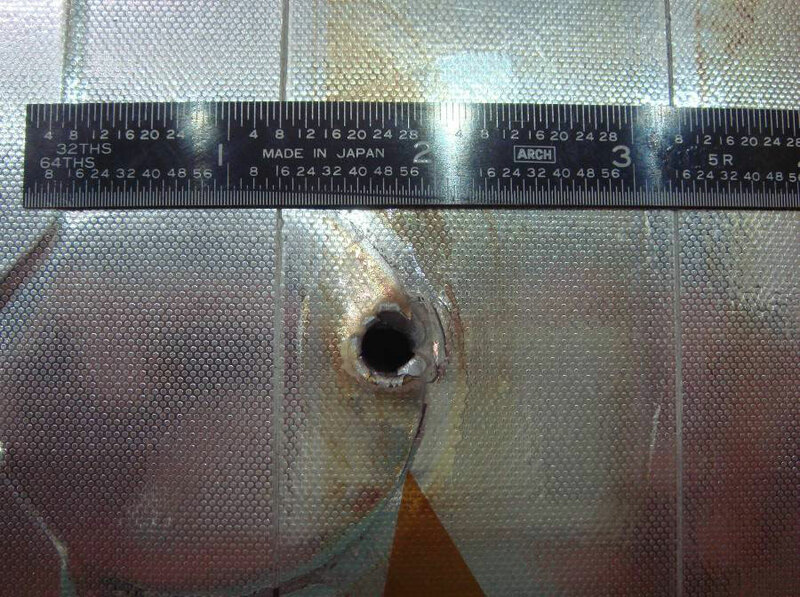 Once the tiny orbiter floated away, the aircraft ejected the net in an attempt to capture the item. 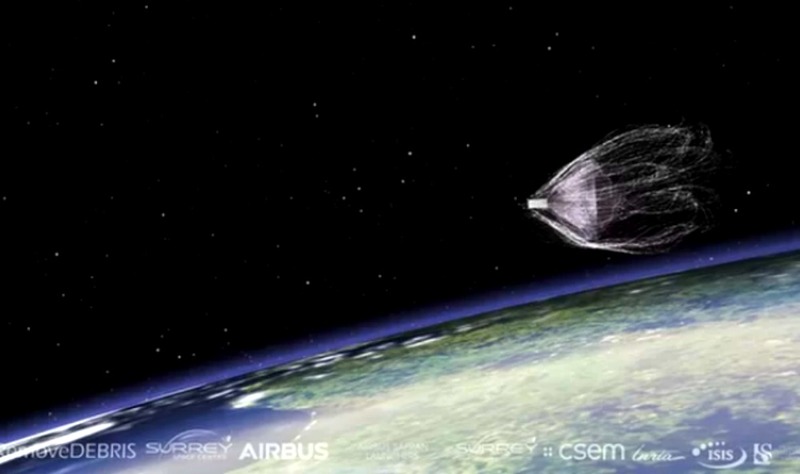 In December, a second test will be initiated to analyze the vision-based navigation technology developed by Airbus in Toulouse, France, using a set of 2D cameras and a 3D laser scanning technology to track a second test item as it floats away from the main satellite. In February 2019, another experiment will take place in which the satellite will fire a pen-size harpoon into a panel that will deploy from the main spacecraft. In March the drag sail capabilities on the spacecraft will be tested. The drag sail is designed to speed up the satellite’s de-orbiting process by slowing the satellite down, making it possible for it to de-orbit in 10 weeks versus the 100 weeks that would be required without a sail. “The sail produces a significant amount of drag so that the spacecraft slows down and its orbit decays much faster than it would without the sail,” Guglielmo Aglietti, director of the Surrey Space Center in the United Kingdom and the program’s principal investigator, told Space.com. In another program called “Space Debris Elimination,” NASA proposes shooting atmospheric gasses into space to destabilize the debris’ orbit and send it plummeting back to Earth, where it will burn up in our atmosphere. Other technologies are also being developed to deal with the orbital junkyard rotating around our blue marble, but this realm is uncharted territory, so any real progress will take time. Even if satellite launches ceased entirely, the problem could persist for a couple hundred years or even longer, according to a 2011 NASA study. The more space junk there is up there, the harder it will be to launch anything into space. If left unchecked, some scientists believe that humans could very well become trapped on earth — a prison of our own design. coincidence that i watched a youtube video on this very same thing today? I’m sure it’s only gonna get better with the Chinese launching their crap.